Okemo Real Estate | Mary W Davis Realtor & Associates Inc. 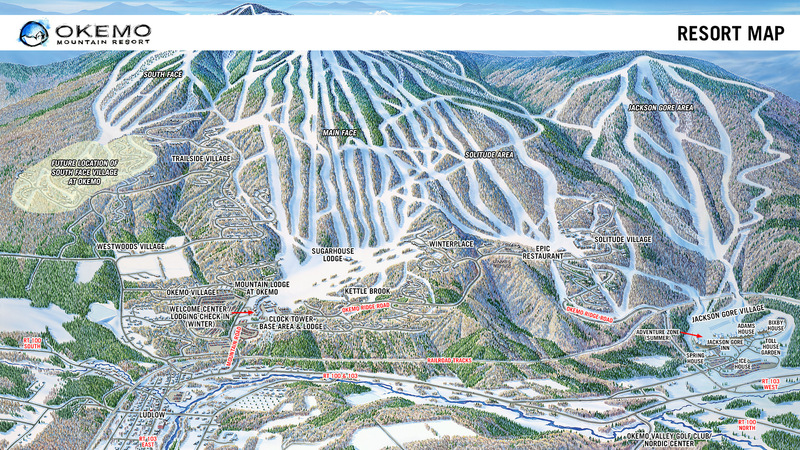 Here is an easy way to find just the right location for your Okemo home: Visit our Condo Maps Page to take a closer look at each condo area and how they relate to the trails. Then see what's for sale! We have some Open Houses scheduled around Presidents Week, but if there's a condo area you'd like to look at, give us a call (802) 228-8811, one of our agents would be happy to show you around. Updated daily, the Okemo Snow Report and Okemo Trail & Lift Report keeps you posted on conditions. Many amenities and activities on the mountain offer fun for all ages. Check out the Okemo Events Calendar for what's coming up. As a true four-season destination, see what's happening in the Okemo Valley and surrounding local towns at Your Place in Vermont. Ready to find your place in Vermont? Whether it's a condo or a home in the heart of ski country, let us help!